Threading is a method of hair removal originating in Asia. In more recent times it has gained popularity in western countries. Threading is much healthier for the skin then waxing, and it creates no ingrown hair. 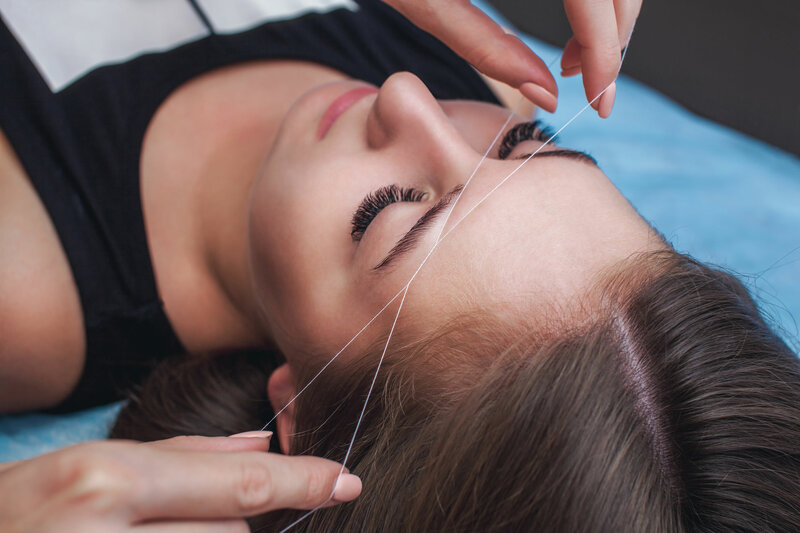 It is fast and relatively painless (with a skilled practitioner) threading is suitable for all skin types, even those with skin sensitive to wax. It involves using professional, anti bacterial cotton thread to trap and pull out hairs from the roots, giving a smooth and clean finish. It is mainly used to remove unwanted facial hair includes eyebrow threading.